We have 5 OPEN Trips plus Expressions of Interest. OPEN events include a wonderful talk on Wednesday, February 27th with Chief Newton Jibunoh—environmentalist, adventurer and corporate leader! This will take place at Chief’s Didi Museum in VI. Sign up now!! Space is limited! Other OPEN events are hiking in Jos, Boat trip to Badagry, the Makoko Stilt Village, and a trip to Osogbo, Nigeria’s UNESCO World Heritage Site! The Nigerian Field Society, Lagos Branch: Who are We? The NFS is not a travel agency!! We are an enthusiastic group of volunteers who are keen to explore the culture, history and eco-diversity of this fascinating country and region! Members are of every age, background and nationality: a true united nation of culture and nature enthusiasts. Our aim is to explore and to learn about the culture and environment of Nigeria and West Africa. All trips are run and organized by volunteers. The sense that we are in an adventure together creates a very special bond. Many lasting friendships have been forged through the NFS. Sign up NOW for OPEN trips, so as not to be disappointed. Spaces for most of the events are limited!! Each trip is run by a volunteer NFS Trip Leader who plans and prices the trip on a break-even basis. We are not a business!! We are a volunteer Society! Everyone pays their equal share for trips including the Trip Leader! All participants must be paid up NFS members. Trip Leaders accept names when a trip is OPEN or EXPRESSIONS OF INTEREST are requested. Trips which ask for EXPRESSIONS OF INTEREST are not yet confirmed and you will have to confirm with the Trip Leader again when the Trip is OPEN. If a trip is PENDING the trip may change and the details are under development. Also, if you have registered and then need to withdraw for personal reasons, please let the Trip Leaders know so people on the Waiting List have a chance to partake. Deposits are required for most trips (non-refundable unless there is no impact on the group costs). In rare situations trips may have to be cancelled if not enough people sign up in which case deposits are returned. The NFS fees are 3,000 Naira/family/calendar year and it is Membership Renewal time! You may pay by dropping your form and fee at Quintessence or you can pay by direct deposit (see message in the body of the email). Also, feel free to send the attached Membership forms to friends who you think might like to be part of this adventuresome group!! We always want to improve our events and your feedback on the NFS is always appreciated! Please do not hesitate to get in touch! The Saturday trip is fully booked. Please see the next trip on March 2nd! The ancient city of Badagry was founded in 1425. It is located along the ancient Slave Coast of West Africa, now known as the Bight of Benin. By the 1600s, this ancient city had become a thriving community initially reputed for trade in salt but Gberefu beach was to become known as the slave port of Badagry. For four hundred years, the slave trade dominated Badagry as it grew into an important commercial centre flourishing on the export of slaves across the Atlantic to Europe and the Americas. The Badagry-by-Boat Heritage Tour will depart from Lagos in a comfortable larger boat. After about a one-hour journey, the trip continues with a 4 hour walk through the some of the sombre venues associated with this history of Badagry. We will visit three major sites Seriki Abass Slave Museum, the Mobee Slave Relics Museum and, the Badagry Heritage Museum and finally, after crossing the lagoon by boat, we will walk the route of the slaves to the Point of No Return. Badagry boasts the largest Coconut Market in West Africa which we will pass by. Self catered lunch will be eaten at a restaurant overlooking the lagoon. We will return to Lagos by boat after a day full of history and heritage. This is an active walking trip although you can be sustained by eating Ajogun, the local biscuit! This trip is a must for anyone who wants to learn and understand the historical significance of Badagry. Apart from its role in the slave trade, you will also come to understand that Badagry is the first place in Nigeria where contact was made with Europeans. It was also the place where the British flag (Union Jack) was first hoisted here in 1842 as symbol of authority to stop the slave trade, so beginning the process of the development of the nation that later became known as Nigeria. Finally, Western education also first began in Badagry and it was the place where Christianity was first preached in Nigeria in September, 1842 by Rev. Thomas Birch Freeman, a Wesleyan Missionary. This is a full day trip. The maximum number of participants is 15. The detailed budget is still being finalized but it will be about 20,000 per person assuming a full boatload. (Note: the boat is a twin-engine speed boat.) Payment will be required in advance. The Trip Leader is Nicla De Palma. The NFS is honoured to be welcomed by Chief Newton Jibunoh to the Didi Museum for a talk about his life and his lifelong advocacy against desertification. Newton Jibunoh’s passion for environmental protection is legendary. Founder of Fight Against Desert Encroachment (F.A.D.E), his first road trip across the Sahara from Europe was in 1966. In 2000 and 2008 he led two further expeditions, but this time with a mission: to fight desertification and encroachment. He has taken this campaign far beyond the shores of Nigeria, campaigning through Europe, the Middle East and across the desert regions. Chief also is a dedicated patron and “Art Warrior”! Chief founded the first private Museum in Nigeria, The Didi Museum with the mission “to coordinate, preserve, exhibit our collective heritage from all regions of Nigeria and across the continent. The collection represents “our struggles, our progress, and most importantly, our shared African character”. The NFS aims to run monthly excursions to Makoko, the Stilt Village. THE NFS has a longstanding relationship with the community and supports the school in Makoko through these excursions. Makoko is an informal community that has been part of the fabric of Lagos for a very long time. The people of Makoko have schools, churches, and businesses, most of which are on stilt structures over the water. As guests of the Baale (the Community Leader), NFS Members will visit the only English school in Makoko (French is widely spoken), and then will be taken on traditional canoes through the village channels. The number of participants is limited to 15 people, so please book early! If you have to cancel due to unforeseen circumstances, please let the Trip Leader know in advance, so that the Trip leader can try to fill your spot. Payment is required in advance. For general information and to register please contact the Makoko Trip Coordinator, Carole Farina-Giles. Polo, known as the” Sport of Kings” is very much part of Lagos! Each year the Polo International Competition is held at the Lagos Polo Club bringing together some of the best horses and riders in the sport. The trip details are still being worked on. The cost is likely to be about 1000 Naira per person. In the meantime, please contact Megan for more details and she will keep you informed once the dates are set. This is a unique opportunity to visit a vast 10,000-hectare farm with Nike Tinubu, NFS member, cassava producer and rural development promoter. Nigeria is the world’s largest cassava producer and the purpose of the trip is not only to expose members to rural life but also to the value chain of this important agricultural product. 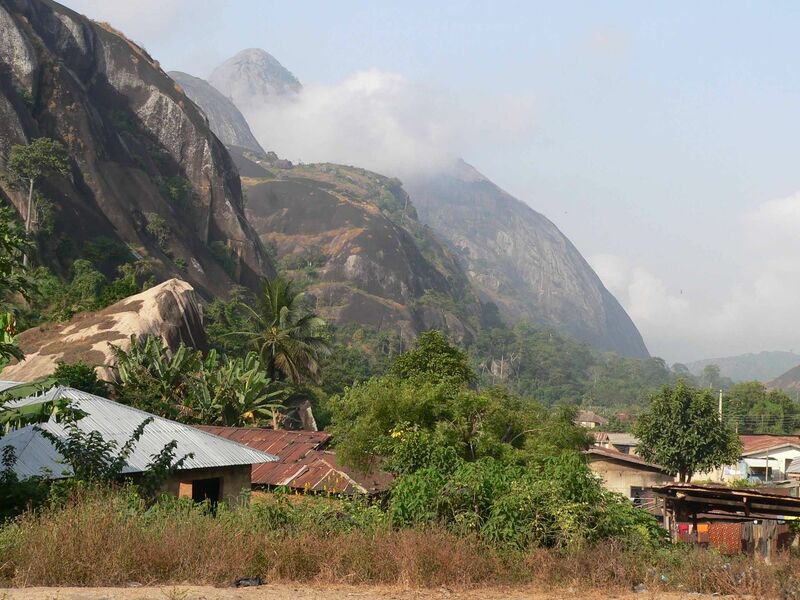 The trip will include visits to this massive farm (38 square miles), a processing cottage, a remote Fulani settlement which you can buy fresh cheese, a flour factory in Iseyin and a local eatery. The group will stay at the very comfortable International Institute of Tropical Agriculture (IITA), an internationally recognized institute dedicated to increasing productivity and farming practices for core Nigerian crops including cassava. IITA is home to some of the world’s best research scientists and a dinner talk will be arranged. IITA also offers excellent recreational facilities including golf, tennis, swimming, fishing in the man-made lake and forest walks. The group will have Sunday morning to relax and enjoy the premises and leave for Lagos by about 2 p.m. The farm is approximately a 4-hour drive from Lagos. Once on the farm travel will be on bush tracks. Depending on the size of the group we will either go by bus or car convoy. We will leave early on Saturday and return to Lagos before dark. Genco Sanli is the Trip Leader. NEW DATE Friday, March 29th- Monday, April 1st: Adventure Hiking in Jos with Caterina! This hiking adventure is for the fit of body and flexible of mind only! This will be the third NFS hiking trip to the Jos Plateau and the hiking gets a bit tougher each time!! The group will fly to Jos on the Friday and then bus to Pankshin where we will be met by Papa Yves and Andrew, our wonderful on the ground organizers and guides. The first night will be in the Hotel in Pankshin. The second day the hiking begins in earnest and the group will camp at the end of a full day of hiking. Group members needs to supply their own camping gear and sleeping bags. It does get quite cold in the hills of Jos! On the third day the group will hike again and return to Pankshin for the night. The approximate trip cost is 120, 000 Naira per person including airfare. Please contact Caterina for trip details. Do not delay as airline tickets need to be purchased. If there is only one place that you have time to visit in Nigeria it should be Osogbo! Located approximately four hours from Lagos, Osogbo is home to one of only two UNESCO World Heritage sites in Nigeria, the Sacred Groves of Osogbo. This 2-day trip includes not only a visit to the incredible UNESCO World Heritage site but also visits to the homes of some of the wonderful Osogbo artists. The Sacred Groves are a majestic 75-hectare old growth forest with the meandering Osun River running through it. Susanne Wenger, a renowned Austrian artist who died at the age of 93 in 2009, moved to Osogbo in the 1950’s and was initiated as a High Priestess in the Yoruba tradition. Together with Nigerian artists of the New Sacred Art Movement, they created monumental sculptures and Shrines to traditional orisa (deities) in the Sacred Groves. These majestic sculptures created in the forest, some over three stories in height, must be seen to be believed! The site was awarded the UNESCO World Heritage designation in 2005. As guests of Adedoyin Faniyi and Sangodare Ajala, adopted children of Susanne and traditional Priests, we will have the opportunity to visit parts of the Groves which are not open to the public, as well as Susanne’s Wegner’s house and her personal art collection, as well as the meet her fellow New Sacred Art Movement artists. The number of spaces on the trip is limited. Don’t delay in registering! The trip costs are still under development but will be approximately 35,000/person based on double occupancy including meals (except 2 self-catered lunches), guides, dashes, cultural performances and bus transportation. For more information about the Sacred Groves of Osogbo check out www.susannewenger-aot.org . Nadim Khourey is the Trip Leader.